Mark Coles profiles Lady Brenda Hale, the new President of the UK Supreme Court. The first woman to hold the post, she has been critical of the judiciary's lack of diversity. 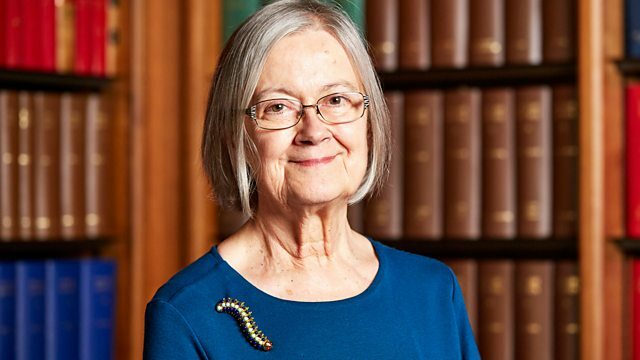 Lady Brenda Hale has been announced as the new president of the UK Supreme Court - the first woman to hold the post. Lady Hale has a long track record as a female pioneer in the legal profession and has been critical of the lack of diversity within the judicial system. Born in Yorkshire, she was an outstanding student, passing the 11 plus exam a year early. She took a different route into the judiciary, having pursued a career as a legal academic first, rather than spend years working as a barrister. After becoming a part time judge while working for the Law Commission - the body which promotes law reform - she then went quickly through the ranks sitting in the Court of Appeal and then the House of Lords. She became the first female justice at the Supreme Court and then its first female deputy president - and will take on role of President in October. Mark Coles talks to friends, family and colleagues about about her distinguished career - and early love for Cliff Richard.